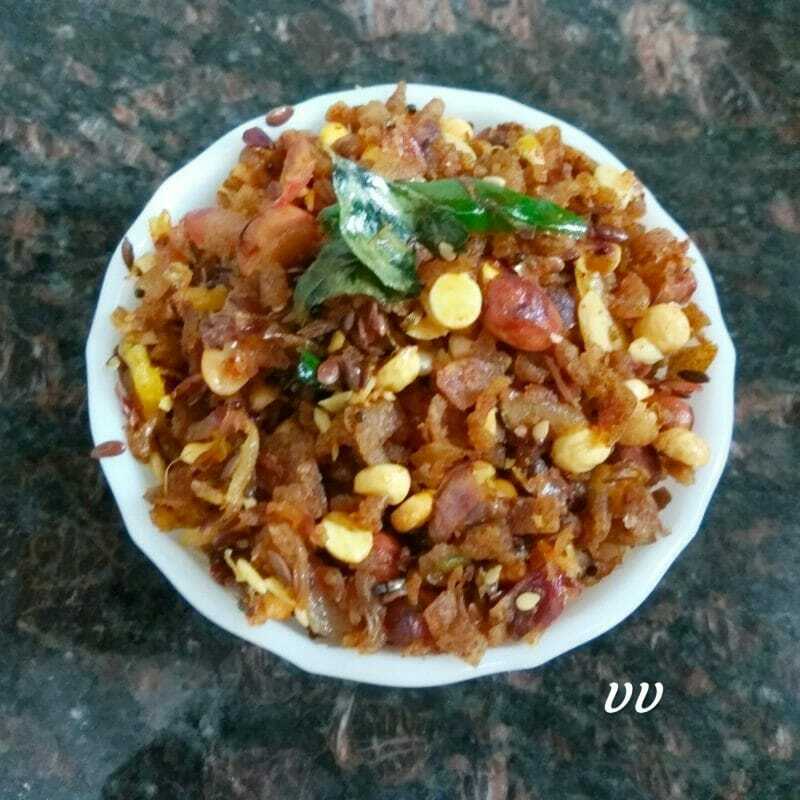 Roti Poha is a delicious and quick breakfast or snack which is prepared with the leftover rotis. The rotis are crumbled and sautéd along with some onions and spices. Adding roasted nuts and seeds make this dish more crunchy and healthy. I used two leftover ragi rotis for this recipe. 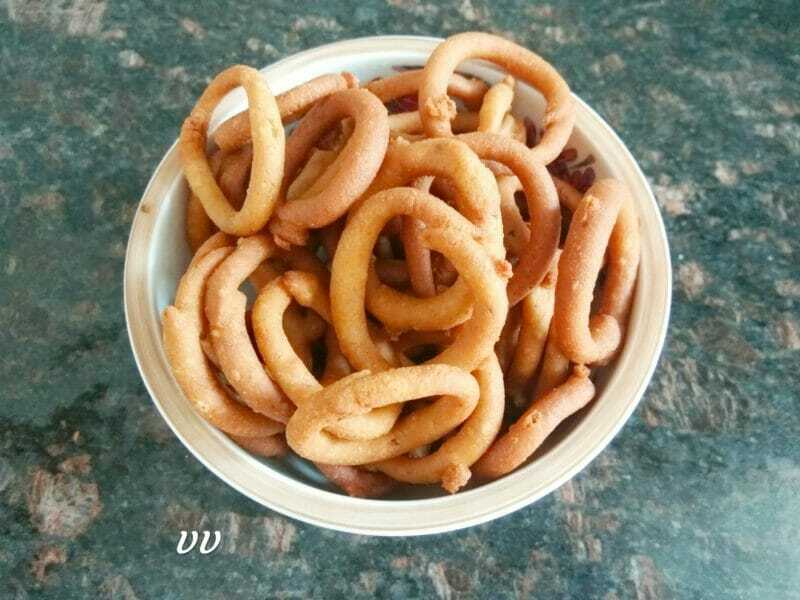 Kodubale or ring muruku is a delicacy from Karnataka. There are many variations in this deep fried snack. Buttermilk Kodubale or Mosaru Kodubale is one variety where the flour is cooked in spiced buttermilk and then deep fried. 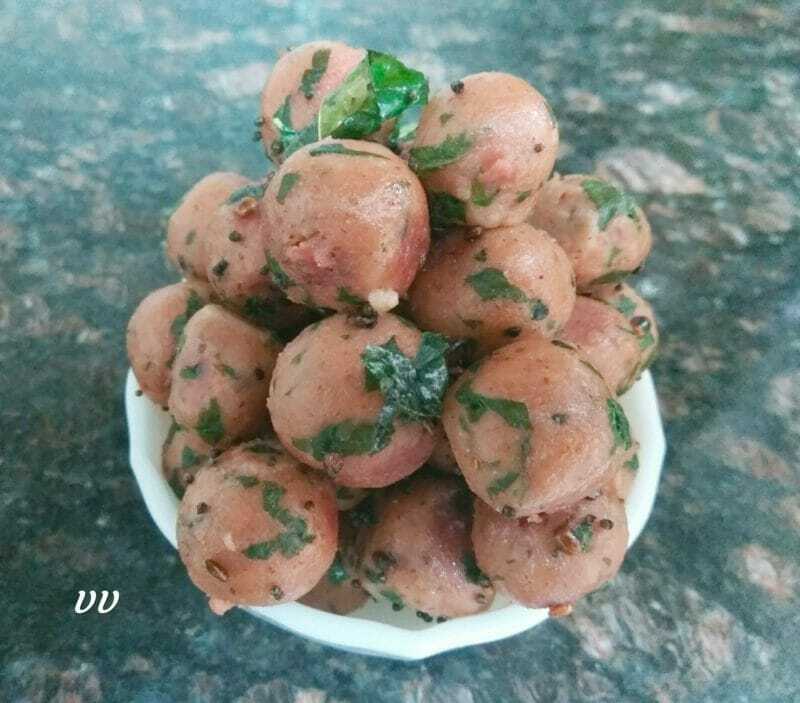 I used jowar flour for this delicacy and it turned out very tasty. 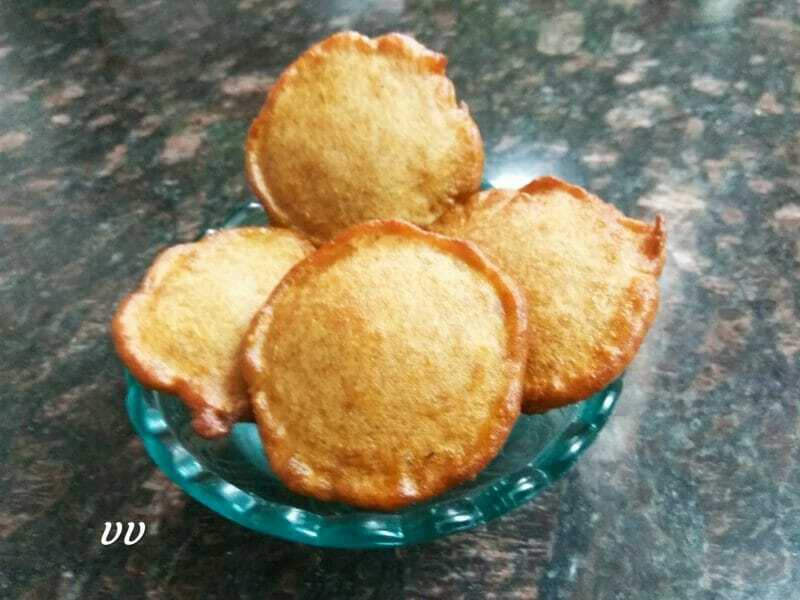 Kandarappam is a very famous deep fried sweet from Chettinad cuisine. Generally it is made during Diwali. 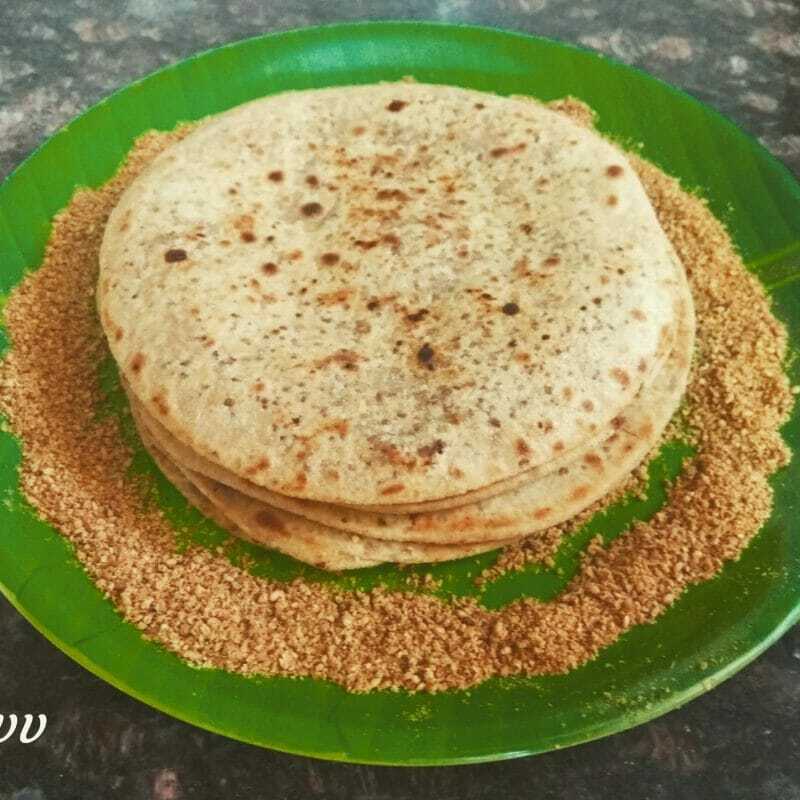 I replaced raw rice with Little Millet for this recipe and got soft and tasty kandarappams. Makar Sankranti is one of the important festivals celebrated in different names in different parts of our country. Different sweets like pongal, poli, ubbattu, payasam or chikkis are made using jaggery. According to Āyurvēda, eating sesame seeds in winter is beneficial for our health. Spiritually, sesame seeds and sesame oil have the ability to absorb and emit Sattva frequencies more than any other oil. On the day of Bhogi, traditionally Poli is made in all homes. I made poli with til (sesame seeds) and Gud ( jaggery) as stuffing and used jowar flour for the outer layer.